BF Bamboo Herbal Charcoal Toothpaste is a fine mixture of herbs renowned for cleaning oral cavities. With today’s technology we can now have charcoal powder from bamboo added for better whiter brighter teeth, detoxification and fresh breath that lasts the whole day. Bamboo charcoal powder burned at over 1,000 degree Celsius by high technology from Japan. Thailand’s first license registered in 2546. Procedures including stacking, baking, crushing, frying, straining and measuring the electric charge in every single bamboo piece ensure a high standard for human ingestion. The charcoal powder refinement is at 325 m (it leaves a powder that will dissolve in water completely with no grit remaining). At 50 microns refinement which is suitable for human consumption. 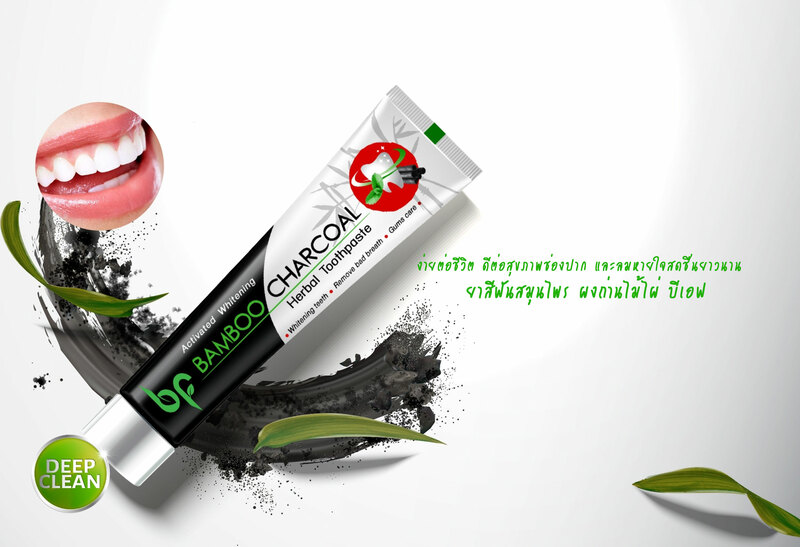 "BF Bamboo Charcoal Toothpaste" also include Thai herbs known to be useful aids in cleaning and preventing dental and oral cavity. Cloves - toothache suppressant removes unpleasant breath smell and reduces the chance of bacteria which cause of dental caries. Salt - helps to create white, clean and healthy teeth. Removes unpleasant breath smell and helps in preventing dental caries. Squeeze as little as a bean size onto your toothbrush and brush every morning and at night before sleep and after every meal. Using every day will provide the best benefit of reducing or eliminating unpleasant breath smell, scurvy, gingivitis and scales.